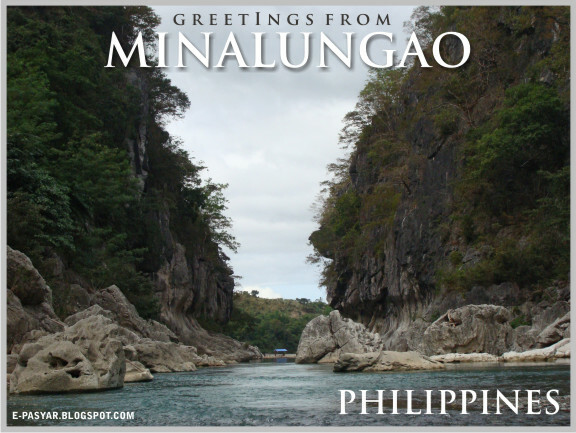 Greetings from Minalungao post card by e-pasyar. We arrived at Minalungao National Park (after almost 3 hours of traveling) at around 1:30 pm. We`re all quite hungry and craving for some lunch. So, we gathered several pieces of firewood and immediately assembled our 'improvised stove using indigenous materials. 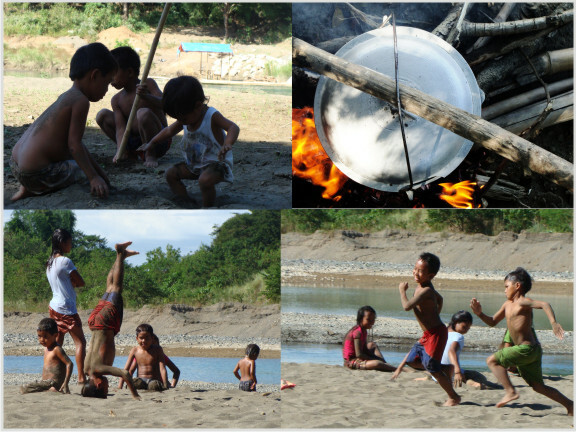 While we were cooking, I noticed a number of kids playing by the river so I grabbed my camera and approached them. Good thing, we brought our own provisions because there are no restaurants in area. Although, in not so distant, there is a small sari-sari store to buy some candies, canned goods, rice, and other basic commodities. After we ate our lunch, we're ready to roam and feel the beauty of Minalungao. ..and the adventure begins. The local government constructed a concrete stairs, but we opted to passed through the those gigantic rocks. Farmers use the river to transport their produce. After exhausting but very exciting day, it's time to rest. We managed to set up our camp before darkness filled the place. There are no accommodations in the area so bringing a tent is really a great idea. This place is ideal for those who are looking for a budget (pang masa) travel or eco-tourism destination. That night was calm thus giving us a chance to feel and experience the natural beauty of Minalungao. Minalungao National Park offers pristine river, spring, [spacious] cave and unique geological features characterized by breath-taking rock formations – an ideal place for soul searching and communing with nature. Truly, this is Nueva Ecija's hidden paradise. 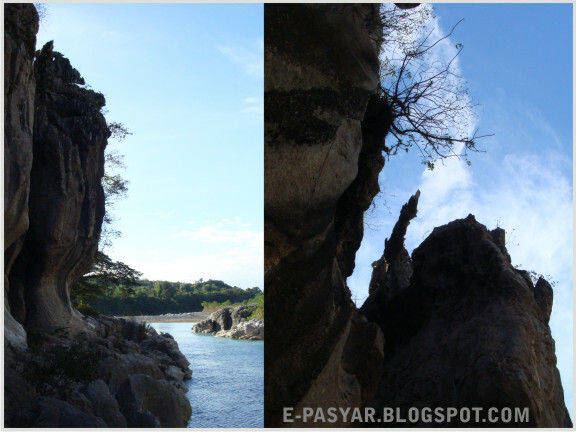 Minalungao National Park is located at Sitio Minalungao (15 km east of the town proper), Barangay Pias, Peñaranda, Nueva Ecija (Philippines). That's all for now. Next post will be our day 2 adventure.